As of January 2018, we are excited to introduce Hop Compost and our innovative organic waste compost program. Through a partnership with Hop Compost and Waste Solutions Canada, Bentall Kennedy will divert almost 1,000,000 pounds of organic waste from landfills by 2020. This has been made possible by Hop’s innovative new technology, which serves to reduce the costly hauling and carbon emissions typically associated with organic disposal, while providing a quality compost product free of harmful chemicals. The efficiencies of Hop’s facilities will allow us to include products that would previously sit in compost sites without breaking down. Bentall Kennedy is excited to close the loop this spring, by repurposing our organic waste into high-quality soil and distributing it throughout the landscaping at our properties. This will be rolled out to a number of properties in the Greater Toronto Area in 2018; as part of our commitment to sustainability through the ForeverGreen Tenant Engagement Program, we look forward to working with you to reduce the overall environmental impact of our building. 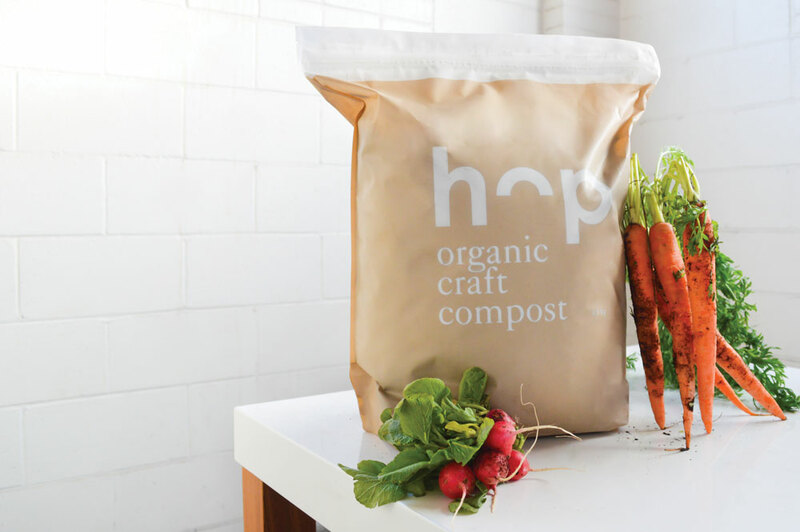 Hop uses patented technology to develop Canada’s first inner-city compost facilities, allowing for the reduction of compost hauling by up to 85%. Once the waste reaches the advanced facilities, it is able to break down in just 11 days. The result is a high-quality product free of methane and odour, which can then be repurposed and sold as premium compost.